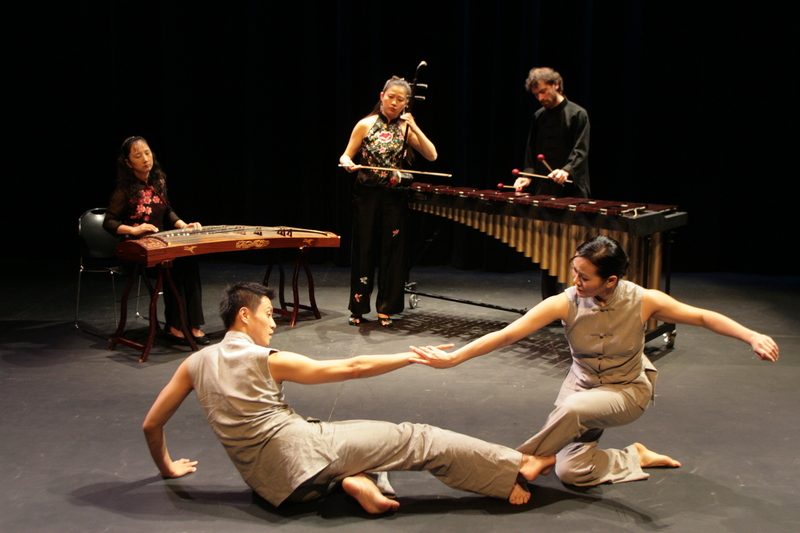 A cultural exploration of the Chinese Immigrant experience through music, dance and interactive multimedia Triaspora incorporates Asian traditions with contemporary expression, filling the theatres with an exhilarating mix of style, movement and sound. Triaspora draws on numerous insightful interviews from different generations of Chinese Canadians, while examining the search for cultural identity and social acceptance. Triaspora reflects the crossing of three disciplines – music, dance and multimedia, and incorporates the three themes – fire, water and travel. Water, which at one time covered Vancouver’s Chinatown and carried the immigrants to this “new” country, symbolizes their emergence from a repressed world to a new frontier. Like water, which changes its form in natural cycles, the Chinese community continues to transform and renew with each generation. The fire that burned down Nanaimo’s Chinatown in 1960 is also a symbol of rebirth. Traveling is a familiar reality for the immigrant generation. Canada’s economic lifeline – highway 401 and Steve Reich’s famous composition Different Trains inspired the music for the final theme.